bruni dávila has practiced Vipassana and Zen since 1995. 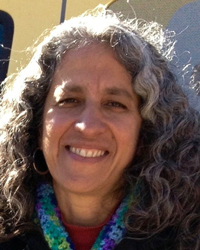 A student of Gil Fronsdal and Andrea Fella,she practices and teaches at the Insight Meditation Center in Redwood City, CA, and also teaches Dharma in Spanish in the wider Bay Area. She is a participant in IMS 2017-2021 Teacher Training Program.